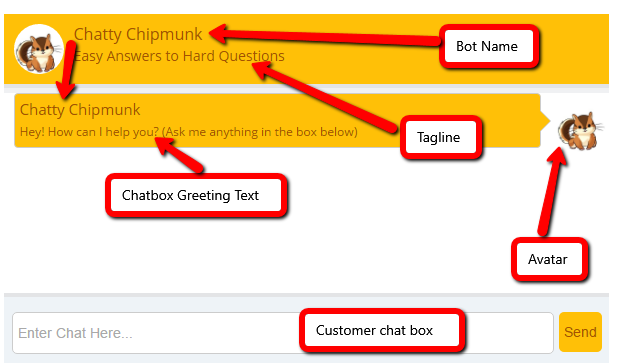 Bot Name: This is who your customers will chat to. 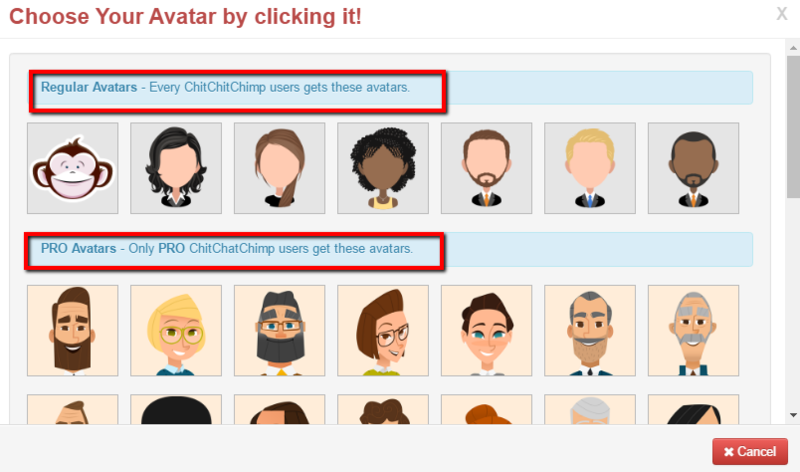 We hope you have chatted to Chit Chat Chimp! Answer Delay: This is the minimum delay in seconds that the bot will take to answer a question. It can range from None to 5 or it can be set to RANDOM (which generates a random number of seconds between 1 and 3 every time the bot answers). Source: You have a choice of None/Built In/Gravatar/Upload. 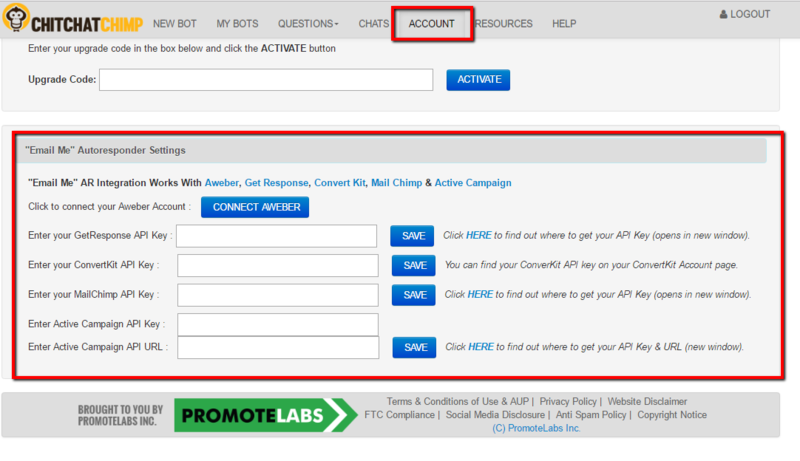 Appear: For a Regular account, your Bot will not auto-appear. It appears only when the visitor clicks the bot's tab. Hide: If you select YES for Hide then the chatbox window will remain hidden until it is triggered by either a) exit intent window opening and then being closed, b) auto appear delay or c) auto appear scroll. 3. Reply to the customer with the " Email Acknowledge" text. 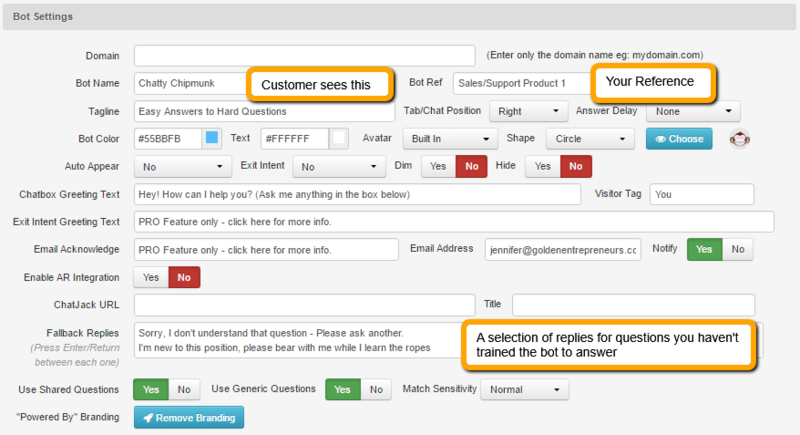 As you train one bot you can choose to save the Q&A to a "Shared" section. For each bot you can choose whether the bot should search these questions for answers if all else fails in the bot specific questions.